Discussion Guide on "What Is An Immigrant?" 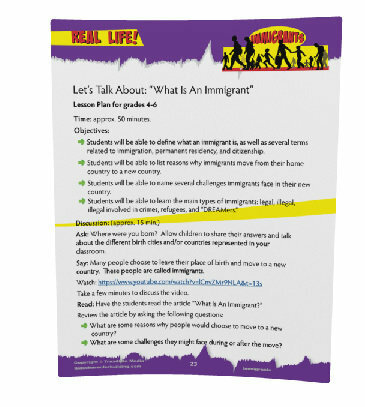 This educational booklet is part of our “Real-Life” series which uses publicly available videos (suitable for elementary grades) to generate lively discussions in your classroom.The resource has been designed like a kid’s magazine for Grades 4-5-6. It is sure to lead to reflection. The students will watch a video about “The American Dream” and also a video about young adults showing gratitude to their parents who have sacrificed everything so that their children could have a better life. As per our other publications, this material is appropriate for both home school and public elementary school children. Article 1 -" What Is An Immigrant?" Answers questions dealing with what is an immigrant, why people immigrate, the immigration process, and challenges immigrants face. The article is seven pages long in this children's magazine. You can read the online version of this article here. Article 2 -"Who Are The Immigrants?" 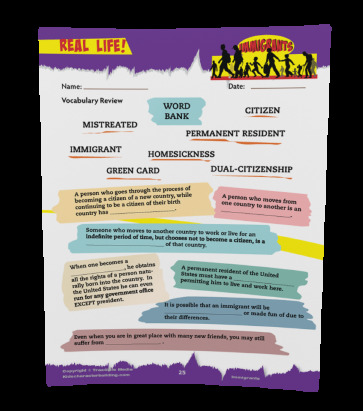 Students will discover the four main categories of immigrants: legal immigrants, illegal immigrants, illegal immigrants involved in crime, and refugees. This article is eight pages long. Article 3 –" What is a DREAMer?" Kids will know what this much talked about word means in regard to their fellow citizens. This article is two pages long. Article 4 – "Help Immigrants Feel Welcome". Four practical tips for kids to know what they can do to be a good neighbor and help immigrants feel welcome. A two page article that can be used as a poster in your classroom. Article 5 –"Why Do People Oppose Immigration?" Five main reasons why immigration causes such heated debates. A two page article that can be use as a poster in the classroom. 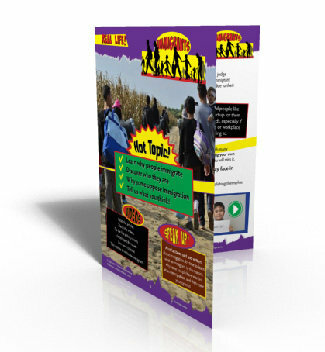 The booklet also includes an easy to follow lesson plan (two pages) for Grades 4,5, and 6. There are three worksheets for Grades 4,5, and 6. The hyperlinks go to the related videos and are embedded in the PDF. All related articles can be reviewed by members of my website.